“Blockchain” has become crazy popular in recent years, thanks to the rising value of Bitcoin, Ethereum, and other forms of digital currencies. However, the fundamental technology behind this movement has implications for other parts of the internet beyond just cryptocurrency investments. User Interface (UI) and User Experience (UX) professionals are beginning to realize how blockchain technology stands ready to revolutionize their strategies and best practices. The age of static HTML websites will soon be gone and replacing it will be a brand new architecture for online platforms. This article describes some of the key changes that blockchain technology will bring about in the web design world. In the early days of the internet, making purchases through a website was seen as a risky activity. Then companies like eBay and Amazon came along to streamline the whole process, with help from payment services like Paypal that offered secure methods for entering credit cards online. Cryptocurrencies like Bitcoin and Ethereum represent the next evolution in the development of online retail. These days, a lot of the discussion around digital currencies is focused on their changing investment value, so it’s easy to forget that these systems can be used online for purchasing and exchanging goods. As a website developer, you need to consider blockchain platforms when designing the next version of your e-commerce website. Digital currencies should be added as payment options on checkout pages and updated automatically with the latest exchange rates. One of the big advantages of using cryptocurrencies on a retail website is the ability to support micropayments for small purchases like access to a news article. Most modern websites and mobile applications are built on the same type of architecture. First, there is a database repository or collection that stores individual records. Then an application layer is created to communicate between the back-end data and front-end interface. The actual visual content lives on a web server that transmits to browsers or devices. Blockchain technology has the potential to radically change this method of web development. One of the key features of digital currencies is that they operate without a central authority, such as a government or a bank. Instead, their financial ledger is kept on a peer-to-peer network with many nodes that run algorithms to maintain its integrity. This concept of decentralized storage goes far beyond a simple accounting ledger. Data of all sorts can be stored and accessed in a decentralized, private way using blockchain technology. Instead of relying on a single database endpoint, designers will have the ability to spread information across a series of connected nodes that are guaranteed to keep it safe and readily accessible. The secure nature of blockchain technology is being seen as a legitimate way for companies to verify all types of transactions, not just Bitcoin and Ethereum exchanges. The concept is referred to as smart contracts and represents a major leap forward in how trust is managed online. 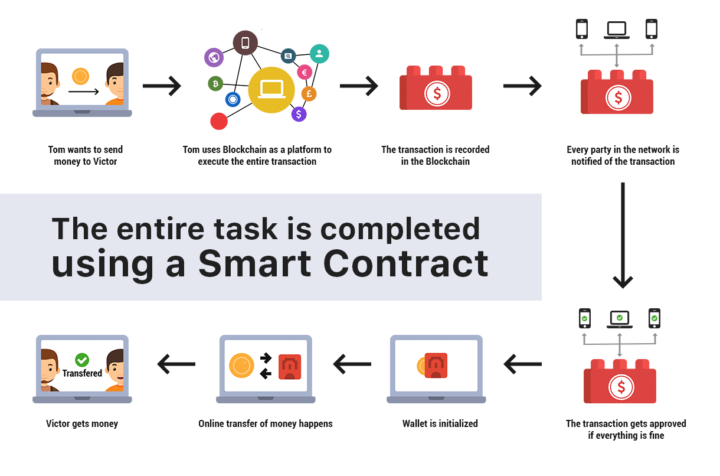 Web developers should consider implementing smart contracts into their projects to replace any feature or functionality that involves two parties shifting resources or making agreements. For example, blockchain technology can be leveraged with package tracking, account subscriptions, and other time or location-based activities. With blockchain integrated into a website’s application logic, business users can rest assured that their resources are being managed and transferred appropriately. The key challenge for UI and UX designers is to build a clean interface to present all the moving traffic. An easy solution for managing smart contract content (especially if you don’t write code and the thought of learning WordPress makes you break out in hives) is to deploy an online website builder, where you can drag-and-drop visual elements and quickly test different iterations of emerging blockchain functions. Long derided as a substandard option for building a website, today’s generation of DIY site builders like Wix and SquareSpace have become quite sophisticated and now power an increasing number of legitimate sites. Online privacy remains one of the most controversial topics in the world today. The average internet user is frustrated with how websites and mobile applications are tracking their personal data and sharing it with government organizations or advertising partners. Blockchain technology may very well provide a promising solution to this headache. Digital currencies like Bitcoin and Ethereum operate on anonymous platforms through the use of private and public keys. Each investor gains access to a unique digital wallet that is identified with a string of characters, not their name or social security number. As a result, every transaction on these markets is kept secure and private. As a web designer, you can consider using the blockchain model with how identity management is handled on your projects. For example, if a user subscribes to a newsletter on a website, that action could be tracked within the digital ledger. From there, the information can be traced by the user to understand if and when advertising groups are able to obtain it. Since identifying information is kept encrypted, it reduces the risk of data breaches or hacks. You should expect digital inventions and ideas to evolve quickly as blockchain technology becomes more widely adopted across the web. The opportunities are endless, especially when you consider how blockchain systems could partner with machine learning and automation platforms to capitalize on their processing power and innovation potential. 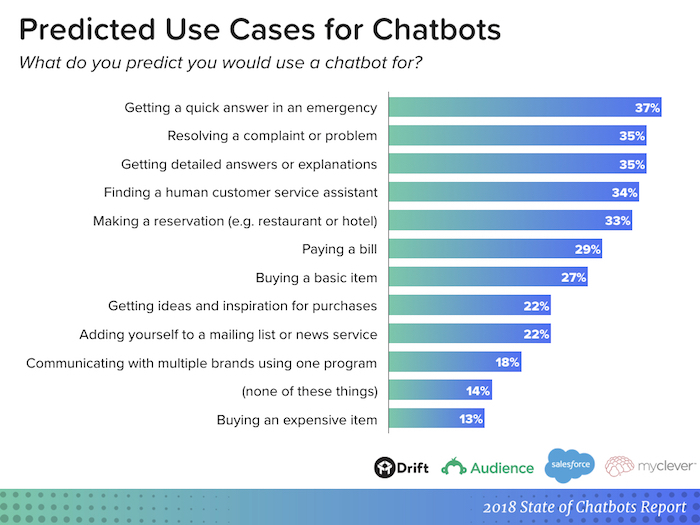 A great example of automation in web design is the rise of online chatbots. These are small utilities that are appearing on more websites where users often have common questions but find it difficult to obtain answers. With a chatbot, a website visitor can write in a text window as if they are interacting with a human being and then receive helpful replies in a matter of milliseconds. What makes this type of interaction possible? It’s a combination of engineering knowledge, resource power, and a new way of technical thinking. When you treat user questions and complaints as transactions on a blockchain network, you can begin to visualize trends and patterns and identify ways to quickly respond and resolve such events. While the world of web design and development never stays static for long, the evolution of blockchain technology is poised to shake up the industry in a way that it hasn’t been shaken in a while. We’re anticipating BIG changes on both the front and back end of sites. We’ve just pointed out a few of the possibilities but there are almost certainly going to be more and likely they’ll come from unexpected directions. Stay tuned. It’s going to be a fun ride.